Jan. 12, 2017—The project began with a question — among a list of 10 lifestyle behaviors, any of which a person can change immediately, which ones have the most impact on health?  Jan. 12, 2017—After a successful 2016 pilot in the 16-bed Palliative Care Unit, the Vanderbilt Vigil Volunteers (V3) program — which pairs a volunteer with dying patients who either have no known family or friends, or whose family and friends are unable to be with them — is expanding into the Medical Intensive Care Unit (MICU) in early 2017. Jan. 12, 2017—Craig Lindsley, Ph.D., a leader of Vanderbilt University School of Medicine’s groundbreaking drug discovery program, is the 2017 recipient of the Pharmacia-ASPET Award in Experimental Therapeutics from the American Society for Pharmacology and Experimental Therapeutics (ASPET). Jan. 12, 2017—Colleen Morton, M.D., has joined Vanderbilt University Medical Center (VUMC) as section chief of Classical Hematology, a specialty also known as “benign hematology” because it covers all blood disorders that are not cancer. Jan. 12, 2017—Joshua Denny, M.D., M.S., professor of Biomedical Informatics and associate professor of Medicine at Vanderbilt, has been named to an annual list of the 50 leading experts in health care information technology by Health Data Management, a trade news publication. Jan. 12, 2017—Researchers in the Schools of Medicine and Engineering at Vanderbilt University have discovered a proteomic “signature” from the airways of heavy smokers that could lead to better risk assessment and perhaps new ways to stop lung cancer before it starts. Jan. 12, 2017—Obstructive sleep apnea (OSA) is a sleep disorder in which people experience repetitive obstructions of their breathing multiple times per night. It is a common condition, and has been associated with many health problems including daytime tiredness, high blood pressure, diabetes, cardiovascular disease and stroke, said David Kent, M.D., assistant professor of Otolaryngology. Jan. 12, 2017—For the past several months, the EpicLeap team has been hard at work building and designing an ecosystem for clinical, operational and technology needs that will help make care seamless at Vanderbilt University Medical Center (VUMC). Jan. 12, 2017—The Children’s Miracle Network Hospitals River of Hope Radiothon, which aired on WRVW-FM 107.5 The River on Dec. 8 and 9, 2016, raised $123,161 in pledges for Monroe Carell Jr. Children’s Hospital at Vanderbilt. Jan. 12, 2017—It comes down to privacy — biomedical research can’t proceed without human genomic data sharing, and genomic data sharing can’t proceed without some reasonable level of assurance that de-identified data from patients and other research participants will stay de-identified after they’re released for research.